The outer bands of Hurricane Juaquin and a stalled low pressure weather front brought inches of epic rain to North and South Carolina over the weekend setting rainfall records and flooding entire towns. While the weather has been clearing, there is still growing concerns for dams breaking and flooding downstream causing even more damage. Currently, in South Carolina alone over 400,000 people were under a “boil water” advisory. So far, 17 people have died in weather related incidents-15 in South Carolina and 2 in North Carolina, and there have been hundreds of water rescues by local and national authorities. President Obama has declared the states disaster areas and the National Guard has been deployed in both North and South Carolina to help in the rescue efforts. Samaritan’s Purse North American Ministries Disaster Relief has deployed a team to the hardest hit areas affected by the rain and flooding. They have sent a truck filled with generators, tools and supplies and other needed supplies to start getting the survivors of the flood back on their feet again. 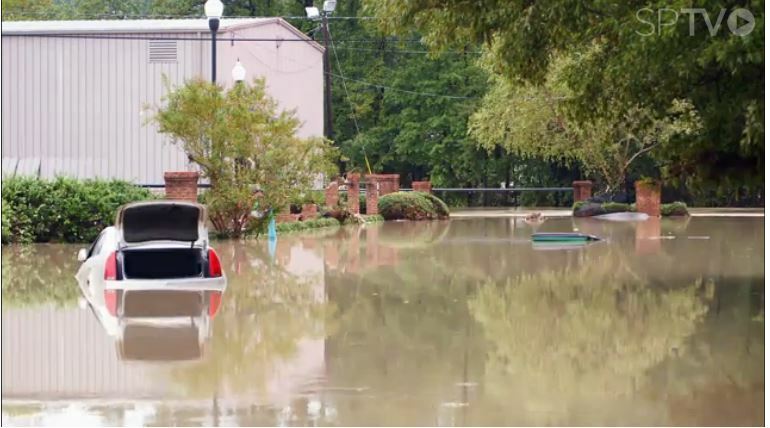 Storage World is partnering with Samaritan’s Purse in collecting monetary donations for the victims of the recent flooding in South Carolina. Storage World will be accepting donations at their 3 locations in Decatur/South DeKalb, Stockbridge/McDonough, and Jonesboro/South Atlanta. Storage World will also be donating $1,000 directly to help the flooding relief effort. Samaritan’s Purse is a non-profit, non-denominational evangelical Christian organization that provides spiritual and physical aid to hurting people around the world. The organization was founded in 1970. Along with assisting in disaster relief around the world, they also work with local, regional and national organizations such as: Children’s Heart Project, Greta Home and Academy, Operation Christian Child, Operation Heal our Patriots, the Greatest Journey, US Disaster Response and World Medical Mission. You can help with their mission by making a donation through their website or by volunteering for the organization.